Aorangi is one of Wellington's oldest ski, snowboard and alpine sports clubs, with members from all over the North Island. It is the only club to offer accommodation on all three Mt Ruapehu ski fields, operating lodges at Iwikau Village on Whakapapa ski field, Ohakune township at the foot of Turoa ski field and Tukino Ski field on the Desert Road side of the mountain. We encourage family groups and individuals, with a lodge to suit all mountain enthusiasts. Whether it's adventure on a club field, the apré ski nightlife, or the ability to ski from the lodge to the lifts. Aorangi has it all. We hold about 8 races so all ages and abilities can get involved. Joining a club like Aorangi gives some of the most rewarding accommodation and experience at Mt Ruapehu. The club environment and comradeship enhances the skiing experience and has led to much satisfaction in members lives. With a lodge for all people, bring the children up and see them ski with friends or get them to join the race squad while you can enjoy the company of other members. So you want a bit of an adventure? Climb to the summit and ski to lodges on all sides of the mountain, and get involved in the mountain nightlife. Keen snowboarder? 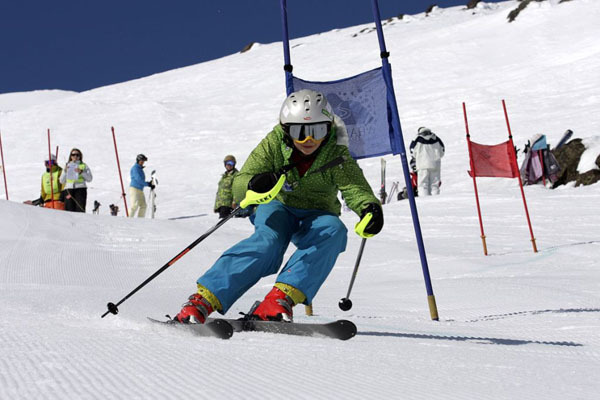 Aorangi has a fast growing community of snowboarders in all age groups, and also offers a chance to compete with skiers for the Aorangi trophies. Want a quiet time in beautiful surroundings summer and winter? The lodges offer accommodation and friendship for climbers, alpinists, trampers and walkers. Bunk fees cover food and accommodation. If you are travelling to Iwikau lodge at Whakapapa ski field and Tukino lodge (4WD only) at Tukino ski field your car can get buried in snow. Your car should be in good mechanical condition especially the battery and electrical system. It is also essential to add anti freeze to the cooling system. You should park your car in gear, chock the wheels against the wind and leave the hand brake off. This is to ensure the hand brake will not freeze in icy conditions. Chains should be carried, a shovel and a torch, and make sure the chains fit before you leave. If you are staying at Ohakune lodge use this as a guideline, it snows in Ohakune too! The mountain can be a very dangerous place as the weather conditions can change within minutes. It is therefore necessary to take the appropriate clothing and to always be prepared for the worst. It is essential that the outer clothing is wind and waterproof, and under garments are warm. Do not wear jeans or cotton, as it has no insulating properties and will not dry if it gets wet. Be wearing your warm and waterproof gear. Bring a back pack (do not bring a suitcase as these are hard to transport across snow). Note: The Tukino road is 4WD only during the winter months.